India is known for Ayurveda that relies on herbal treatment. Bringing this incredible knowledge to hair care is truly a blessing. Look back at your grandmother’s long, lustrous, and healthy hair – it was all thanks to simple herbs that contain great healing properties. If you are looking for the perfect Ayurvedic oil, your search ends here! 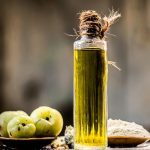 I have compiled a list of the best Ayurvedic oils available on the market right now that can give you thick, healthy hair in no time. But, before we check that out, let’s look at a few simple things that you can do to build the perfect hair care routine. There are four basic hair types – Oily, Dry, Combination, and Normal. The key to maintaining healthy hair is to adjust your hair care routine to suit your hair type. Oiling plays a crucial role in hair care. It is a common misconception that oiling only helps people with normal or dry hair type. On the contrary, oiling can also help balance oil production in the scalp of people with oily hair, while keeping the hair conditioned and healthy. It is essential to oil your hair at least two times a week. Using nourishing hair masks at least once a week can also contribute to the health of your hair. Shampooing more than three times a week can dry out your scalp and hair. People with oily hair feel compelled to shampoo every alternate day, but this only worsens the problem. While shampoo removes the dirt and grease from your hair, it also pushes your sebaceous glands into overdrive, making them produce excess oil. 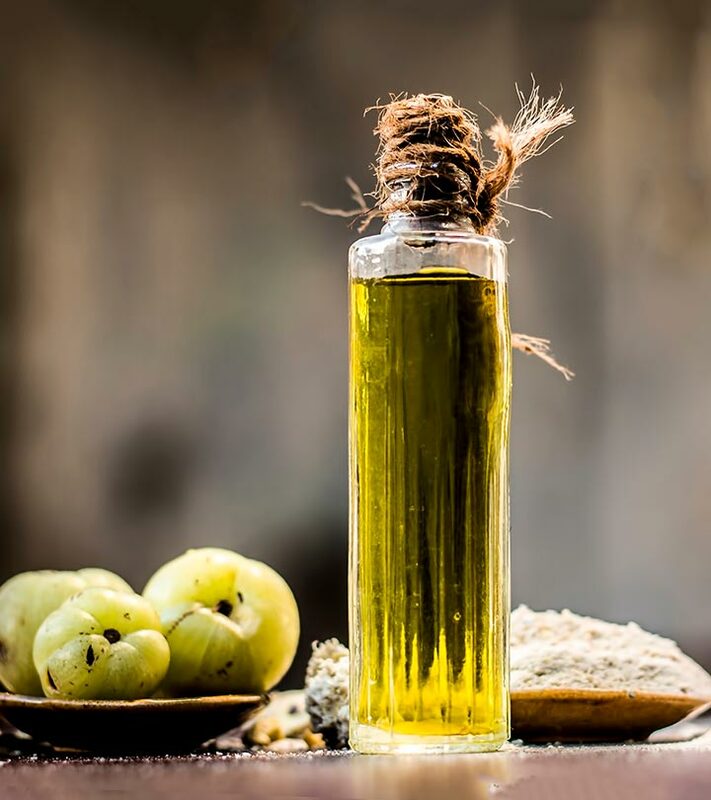 In the long term, the excess production of oil weakens your follicles and exhausts your sebaceous glands, leading to problems such as hair fall and brittle hair. Conditioning your hair is essential as dehydration is its worst enemy. Oiling your scalp and hair will not only provide your hair with much-needed hydration, but it can also balance the oil levels on your scalp. Therefore, it is essential that you use an oil that is specifically formulated for your hair type. On that note, let’s check out the 15 best Ayurvedic hair oils available on the market right now. Kama Ayurveda Bringadi Intensive Hair treatment won the Vogue Beauty Best Hair Oil Award in 2017. 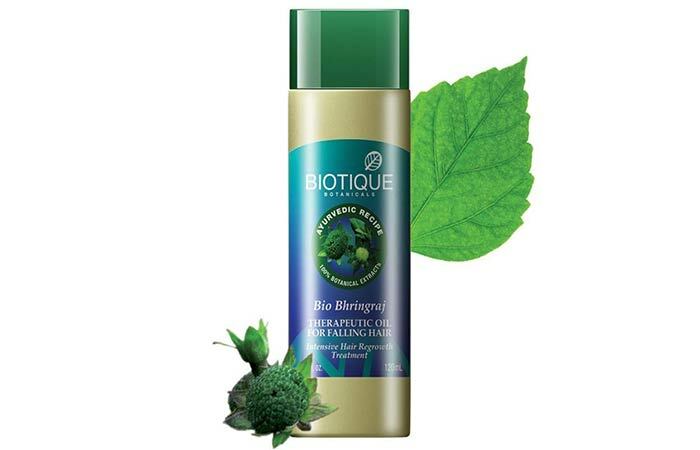 This all-in-one hair treatment prevents hair fall, premature graying, and dandruff. It contains potent herbs like indigo, eclipta alba, gooseberry, licorice, and balloon vine. These extracts deeply nourish your hair while cooling your scalp. This oil prevents scalp infections and promotes healthy hair growth. It also promises to give you glossy and lustrous hair. The earthy scent of this oil has a soothing effect that helps you fall asleep. 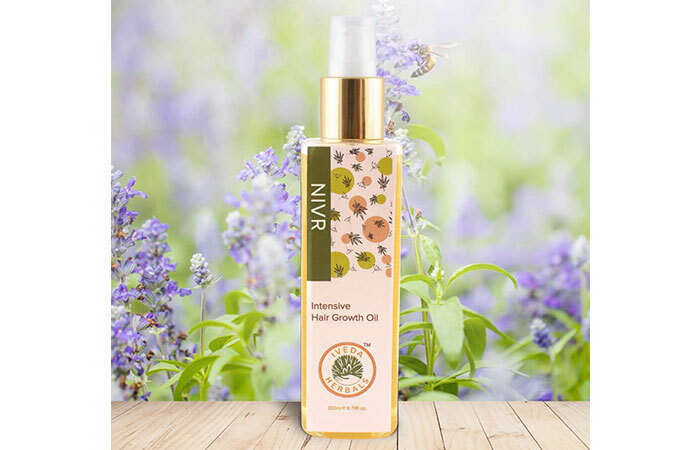 Nivr Intensive Hair Growth Oil claims to heal and repair the damaged cells in your scalp to improve follicle health and aid faster hair growth. It fights several hair damaging issues such as stress, pollution, bad diet, water salinity, scalp dryness, sweat allergies, dead skin, and dandruff. Regular use improves the thickness of your hair by nourishing and maintaining the protein levels in your hair roots. Parachute Advanced Ayurvedic Gold Hair Oil contains the goodness of coconut oil blended with amla, henna, aloe vera, methi, and nagarmotha. These ingredients help with hair growth and thicken your hair within a couple of weeks. It claims to prevent dryness of the scalp and improve blood circulation to the hair follicles. This natural oil also reduces dandruff. It is the perfect blend of Ayurveda and modern medicine. 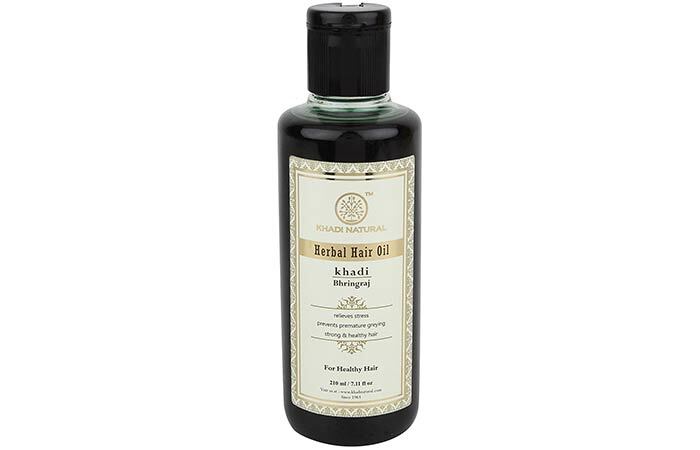 Kesh King Ayurvedic Oil claims to be the universal solution for all hair-related issues, including hair fall. This clinically proven formula claims to be two times more effective than other hair oils as it works on the hair shafts and cuticles at the cellular level. It is prepared using the traditional Tel Pak Vidhi, using 21 hand-picked herbs cooked in sesame oil. This formula nourishes your hair and prevents premature graying, dandruff, hair fall, and split ends. It restructures the hair follicles and repairs damaged medulla to rejuvenate your hair and make it healthy. The oil also contains antiseptic properties. The best part about this product is it comes with a revolutionary root comb that stimulates the roots and allows deeper oil penetration as you apply. 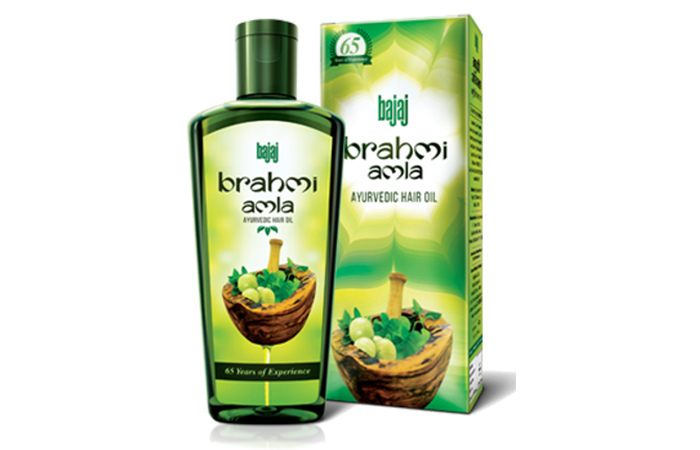 This Ayurvedic oil contains pure bhringraj, amla, mulethi, brahmi, and Butea frondosa. These herbs are blended with coconut oil and goat milk to help treat alopecia. This oil nourishes your scalp and strengthens your roots to promote healthy hair growth. It leaves your scalp feeling rejuvenated and free from dryness. It treats dandruff and keeps your scalp squeaky clean. It also diminishes gray strands and maintains your hair’s shine for weeks. Khadi Products have a rich history in India. The products from this brand are handmade by people in villages across India. 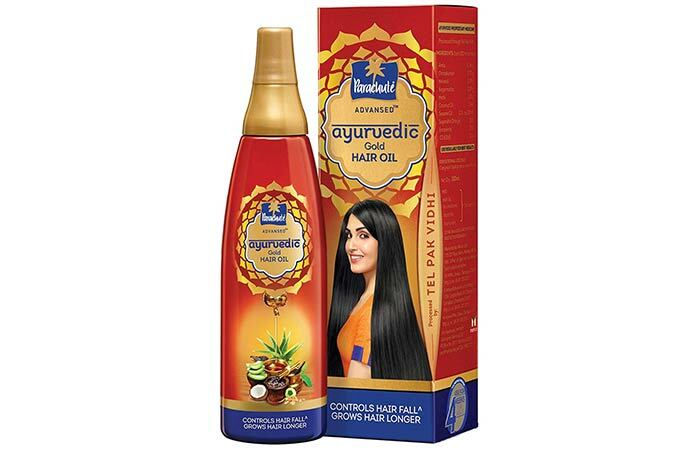 This herbal Ayurvedic hair oil is made with almond oil that is infused with an array of herbs. It contains high levels of vitamins E, D, and A that moisturize and strengthen your hair. This oil claims to protect your scalp from infections and skin diseases. It also encourages new hair growth and prevents premature graying. You can get long, lustrous, and healthy hair with this Ayurvedic oil. It contains herbs such as bhringraj, amla, aloe vera, and neem that are blended with sesame and coconut oil. These vitalizing ingredients improve blood circulation to the scalp tissues and follicles. This nourishing oil penetrates the hair roots and strengthens your hair shafts with the help of vitamins A and E. it contains fatty acids that delay graying of hair. 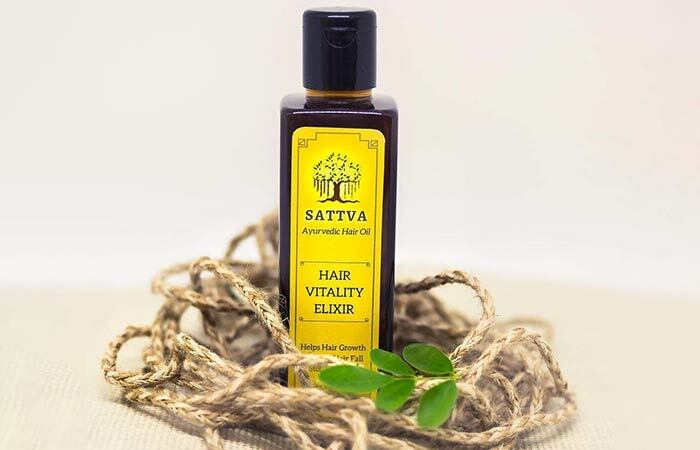 This herbal hair oil is a combination of therapeutic oils and extracts, such as brahmi, amla, henna, shikakai, almond oil, wheat germ oil, olive oil, fennel flower oil, and sesame oil. These ingredients nourish your hair and protect it from dandruff and hair loss. It prevents scalp problems and promises to keep your hair healthy and strong. It curbs premature graying of hair by imparting natural color to your locks. 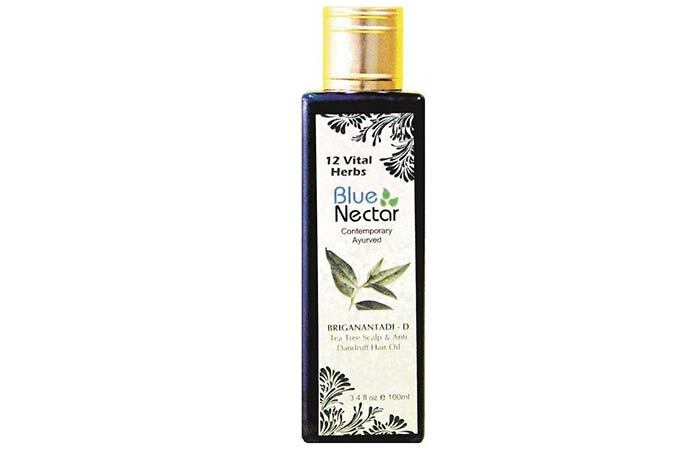 Blue Nectar Bhringanantadi-D oil is made of 14 herbs that help repair dry and damaged hair. These herbs are carefully blended to heal an infected scalp and eliminate dandruff. 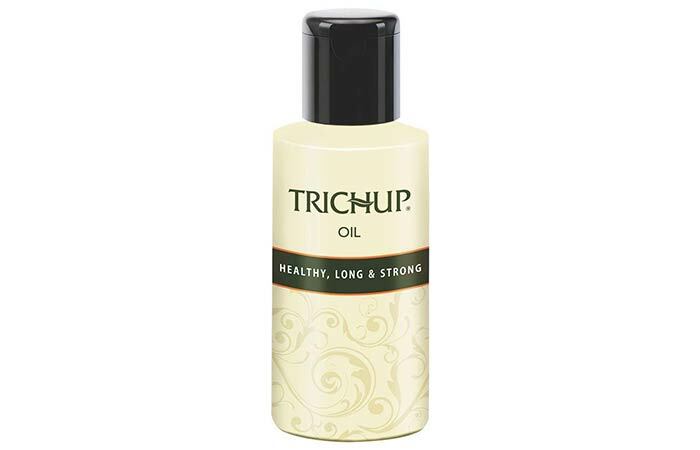 This oil contains anti-inflammatory and germicidal properties that fight lice and bacteria. Ingredients such as bhringraj and rosemary oil help restore the natural texture of your hair and add shine, volume, and color to it. This luxurious Ayurvedic oil contains an array of natural ingredients like bhringraj, brahmi, henna, lodhra, and anantmool. These ingredients have nourishing properties that work like magic on your scalp and hair. It also contains essential vitamins and fatty acids that help rejuvenate each hair strand. This head massage oil also deeply relaxes you and relieves headache and sleeplessness. This certified organic and 100% natural hair oil contains rich Ayurvedic ingredients and is free of mineral oils, synthetic fragrances, and parabens. 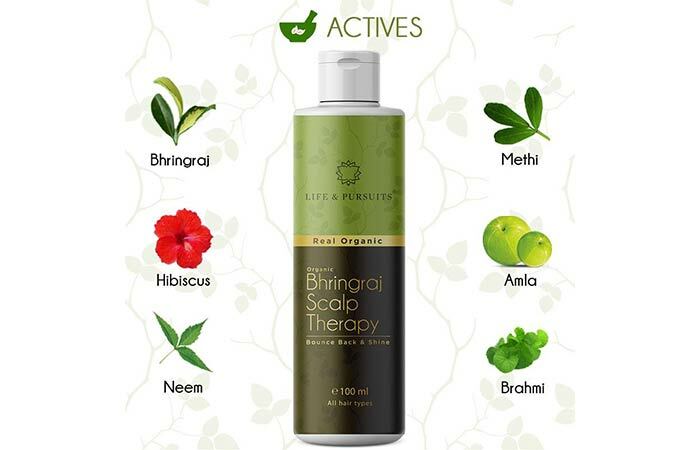 It contains bhringraj, brahmi, methi, neem, amla, and hibiscus that provide nutrition to scalp and hair roots. It conditions your hair and adds shine to it. It also soothes dry scalp and clears dandruff. This oil works best as a hair fall treatment by making your hair stronger from within. It is ideal for women, men, and children of all ages. Navratna Oil is the most trusted brands in India because of its therapeutic cooling properties. It is formulated with nine Ayurvedic herbs that provide instant relief from headache, fatigue, and insomnia. It also nourishes and rejuvenates each hair strand. 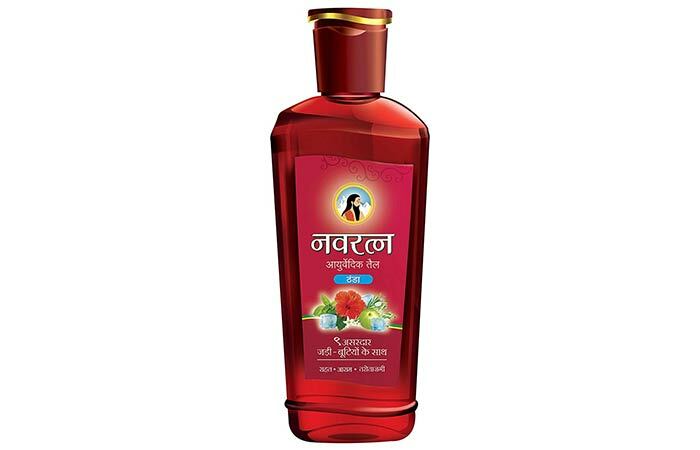 It fights dandruff and treats itchiness on scalp. This herbal oil promises to nourish your hair and impart strength, longevity, and radiance to it. It contains 35 rare herbs like ashwagandha, nagarmotha, jatamansi, and baheda. These natural ingredients reduce hair fall, dandruff, and premature graying of hair. It stimulates healthy hair growth and improves the texture of your hair. It also contains nourishing oils such as olive oil, black sesame oil, coconut oil, and castor oil that help reduce breakage and split ends. 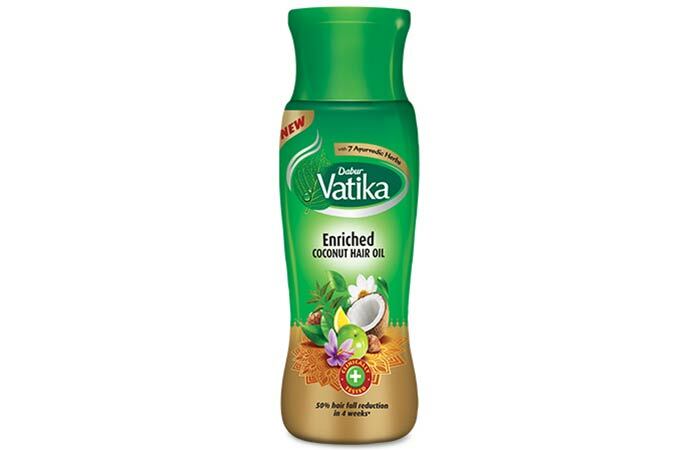 The new Dabur Vatika Coconut Oil is enriched with 7 Ayurvedic herbs like amla, brahmi, henna, lemon, bahera, and camphor. These ingredients strengthen your hair roots and rejuvenate your scalp to give you healthy and dandruff-free hair. It claims to reduce hair fall up to 50% in four weeks. It deep conditions your hair and restores natural nutrients to the roots. It also helps in repairing damaged hair cuticles. 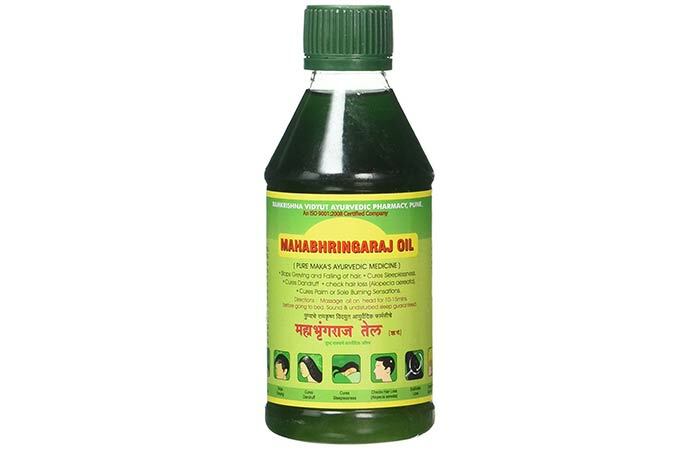 This gentle head massage oil contains herbs such as amla, brahmi, albumin, nagarmotha, and behda. These ingredients prevent dandruff, hair fall, and graying of hair. This Ayurvedic oil is ideal for those suffering from alopecia. 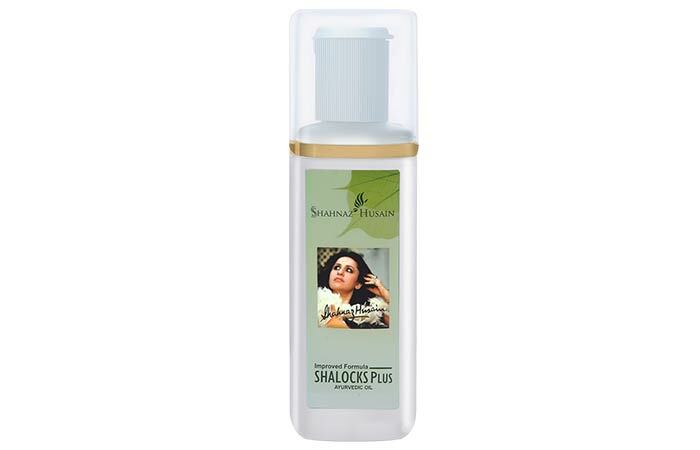 It relaxes your scalp and promotes blood circulation for rapid hair growth. It nourishes your hair and restores its natural color. This lightweight formula is a perfect blend of Ayurvedic brahmi and amla. These ingredients promote blood circulation for healthy hair growth. This non-sticky formula gets absorbed quickly into the scalp and does not weigh your hair down. It strengthens the follicles and reduces hair fall. It also clarifies the hair and scalp to eliminate dandruff. The product claims to nourish your hair, making it strong, healthy, and thick. There you go, folks! 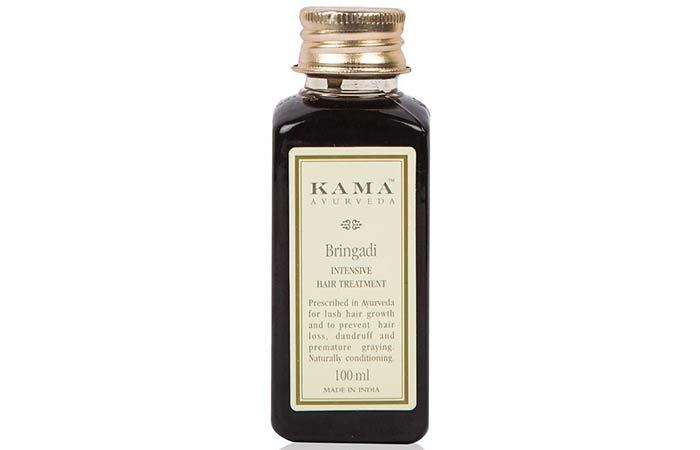 Those were our picks of the best Ayurvedic hair oils available on the market right now. Try them out and let us know about your experience in the comments section below. Taking care of one's hair and maintaining it throughout is a thought every woman contemplates every day.